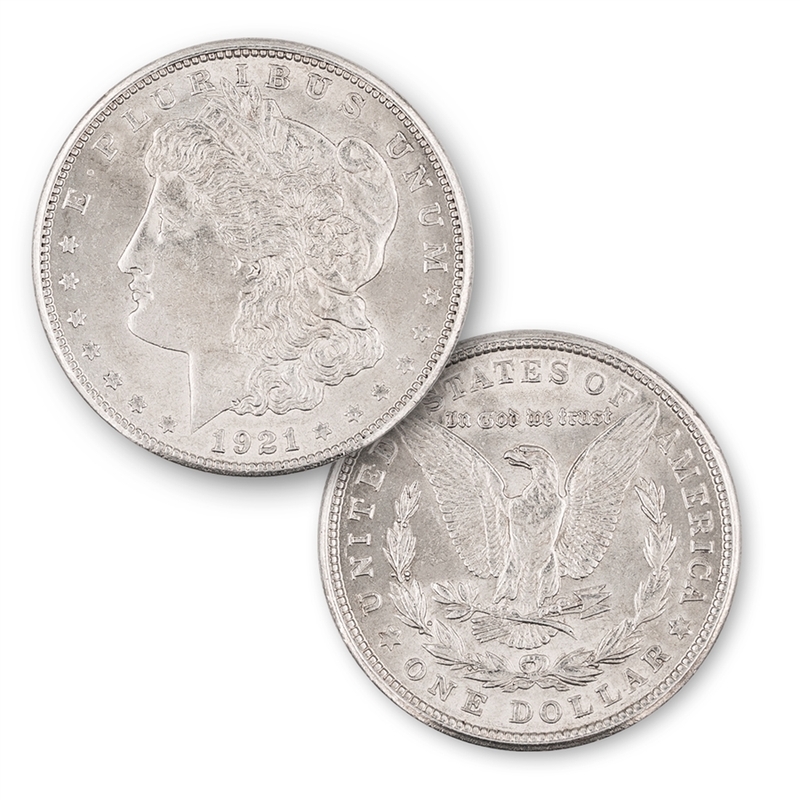 1921 Morgan Dollar - Uncirculated The Most Trusted Name in Collecting! 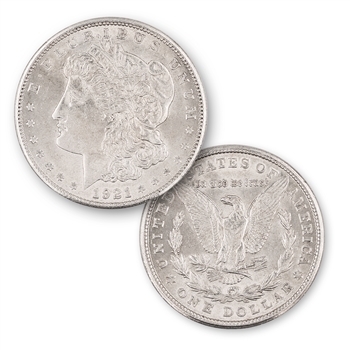 This 1921 Philadelphia Mint Morgan dollar is ranked number 96 with a mintage of 44,690,000. It also holds the place of 28 th out of 29 from Morgan dollars made at the Philadelphia Mint. 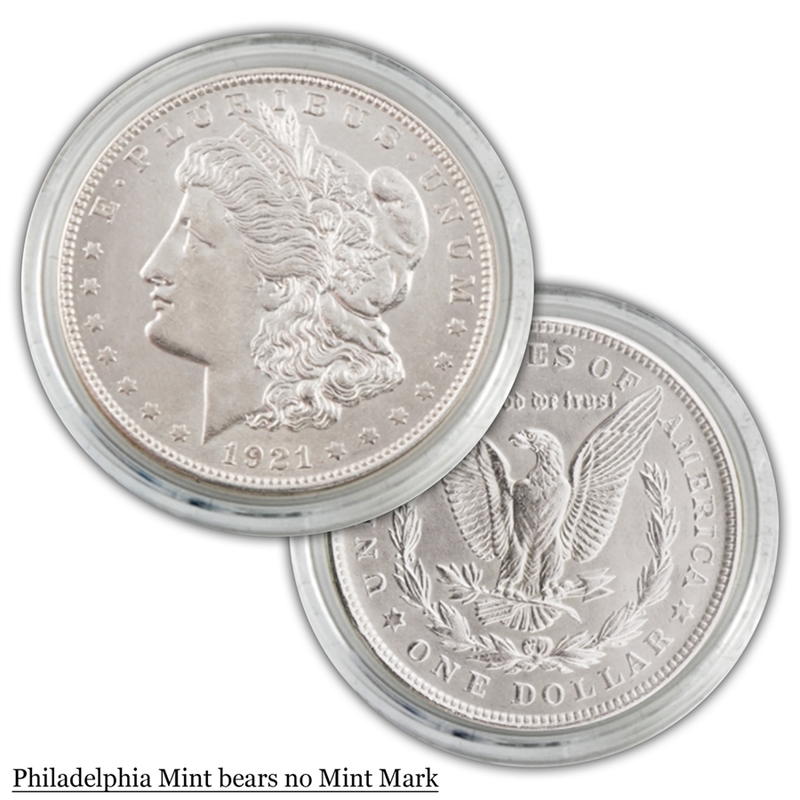 This Philadelphia Mint Morgan dollar is in Uncirculated condition. It has been held by a bank or a private individual since the day it was struck, never being released into circulation.